TALLAHASSEE, Fla. – The Fourth of July is known for cookouts, fireworks, and parades. It’s also equally well known for busy travel. AAA estimates that over 40 million people will be on the road during this long Independence Day weekend. The Department of Highway Safety and Motor Vehicles urges everyone to use caution and not let the celebration turn to tragedy by mixing alcohol and driving. Always buckle up. A seatbelt is your vehicle’s most important safety feature. Designate a sober driver before the fun begins. Didn’t plan ahead? Call a taxi, a sober friend, or use public transportation to get home safely if you have been drinking. Even one drink increases the risk of a crash while driving. 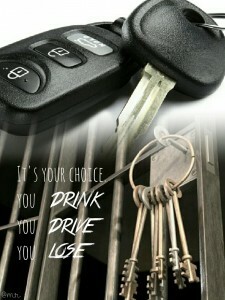 Do not let anyone who has been drinking get behind the wheel. Call *FHP (*347) if you see an impaired driver on the road.